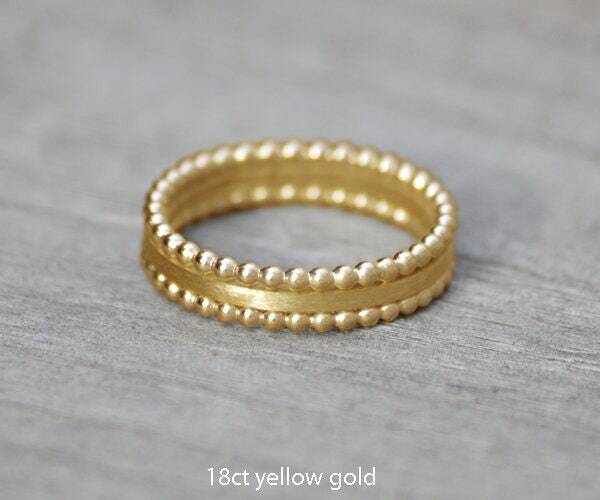 This set of 3 stacking rings are handmade at my studio in England. 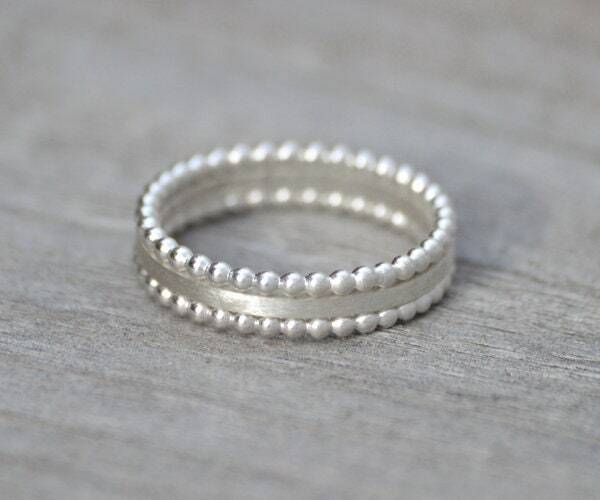 These pretty little sterling silver stacking rings will add a touch of elegance, and class to your look. 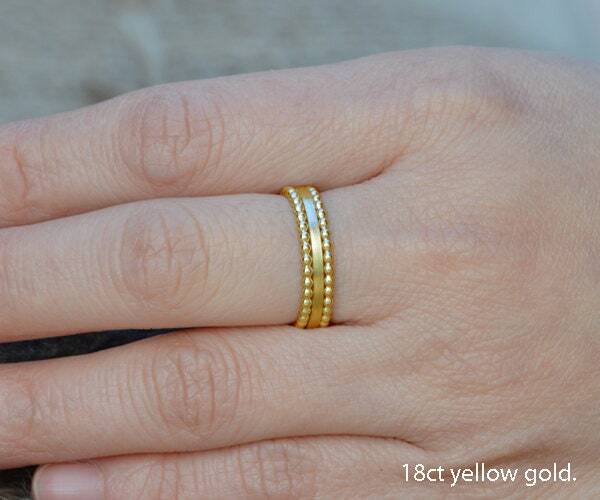 Two of the rings are made from solid silver beads that catch the light with a magical sparkle. 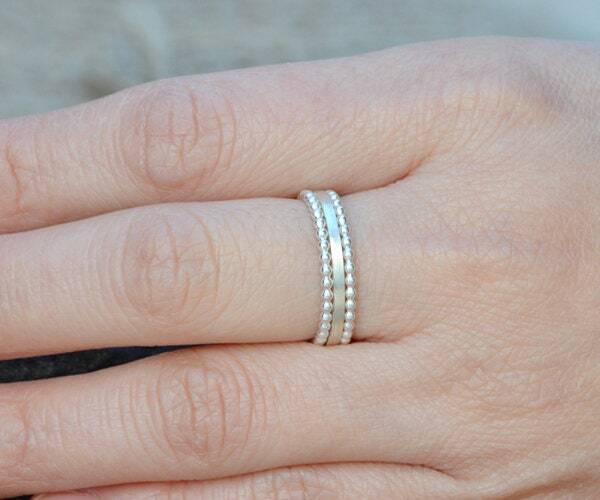 The third ring is a simple classic pure sterling silver band. 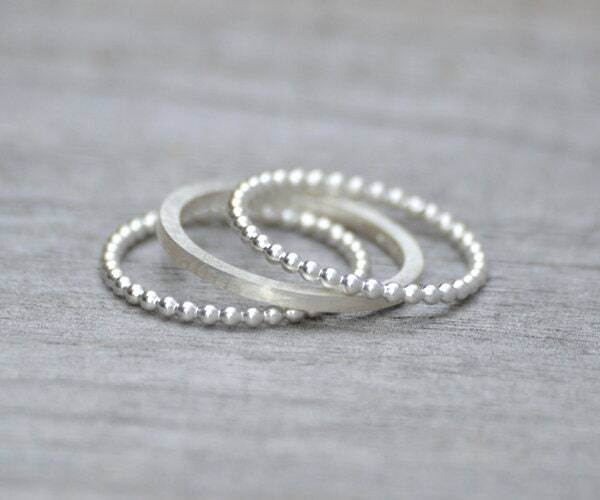 They can be worn separately or stacked together to form an impressive triple band in any combination that reflects your look. Materials: solid sterling silver as shown in the pictures, also available in yellow gold, please choose from drop down menu. I ordered this set of 3 rings because I thought they were beautiful....not knowing exactly how I would wear them. Because I have a gold wedding band and a white gold diamond ring. I replaced my gold band with this set and it is gorgeous! This set looks like one band and compliments my diamond so very well. Huiyi Tan is excellent! She is very responsive and accommodating. I order another ring and necklace and they all arrived in the US on time. The tin packaging is sweet and unpretentious......I loved it! Huiyi Tan is very talented and I will definitely order from her again.